Watch out bikers, Jawa returns soon! If you’ve heard your old man’s tales about how great his Jawa motorbike was, here’s some news for you. The iconic Jawa and BSA brands will be on the roads soon, to take on Royal Enfield! Mahindra two-wheelers are expected start the production of Jawa and BSA bikes in India by July 2018. That’s next month. The production of the two motorcycles will take place at the company’s factory at Pithampur. The Indian two-wheeler maker had acquired Jawa and BSA bikes two years ago. While the Jawa brand will make its re-entry to India, the BSA motorcycles are primarily intended for the international markets. The new Jawa motorcycles will be a delight for all those who wish to own a piece of the iconic brand. Exact details about the upcoming Jawa and BSA motorcycles like the engine displacement and features are not being made public yet. In India, the Jawa Yezdi was popular among the motorcycling maniacs during 1960-70s. The production came to a halt in the year 1996. 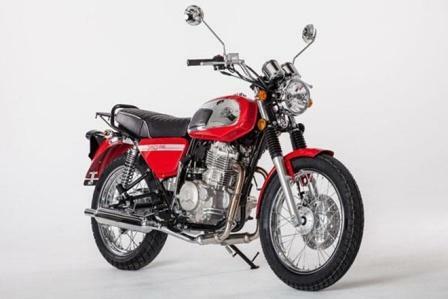 Mahindra will also be coming up with new Yezdi based motorcycles and these are expected to be launched sometime next year. Mahindra, as most people who follow the auto industry will tell you, are quitting from the mass market segment soon and will be producing premium stuff. The Jawa bikes will not be sold under the Mahindra brand name and hence, the company will be using a different nameplate. Now after acquiring the Jawa and BSA motorcycle brands, Mahindra is trying to create its own niche in the premium motorcycle segment. During 1970s, Jawa motorcycles and Royal Enfield motorcycles used to be tough rivals but when Jawa stopped production, the Royal Enfield gained increasing popularity among the masses. Now with the new Jawa, Mahindra will try to give a tough fight to Royal Enfield once again. The pricing for the upcoming Jawa motorcycles is not confirmed at the moment but those who know say that the first batch of bikes will be priced under Rs 2.5 lakh.